New York City building regulations include this controversial provision called “plaza bonus”. Basically if a developer (the construction, not the programming kind) includes a plaza, park or an arcade lobby (the one with arches, not the computer game machines), she can build a much taller building than otherwise would be allowed. This is somewhat related to setback regulations that resulted in so many wedding cake skyscrapers. 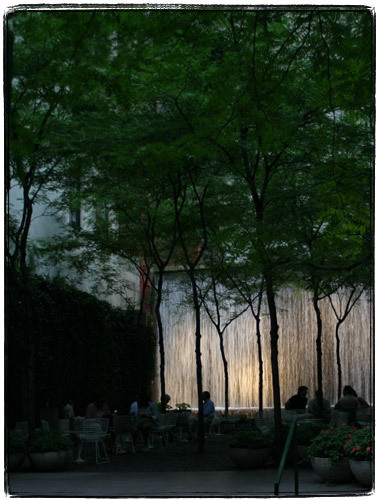 The “plaza bonus” gave the city a some ugly and useless plazas and a few absolutely beautiful little parks with waterfalls where sorry salarymen like me can have lunch or just sit around looking at falling water before going back to tiny little cubicles (which are so tiny partially because of the scarcity of space inside the skyscrapers).